While some industries want to use search engine optimization to drive virtual traffic to their online stores, most dealerships want to drive foot traffic to the physical dealerships, in addition to drawing people to their websites. But how can SEO, which sounds like it is designed specifically to drive virtual traffic to your website, help you pull more people to your dealership? There are a range of ways that you can use the same tactics you use for SEO to direct more people to your showroom. There is perhaps nothing more important for helping you draw attention to your website and then converting that attention into real customers than reviews. The number of reviews you get is as important as the quality of those reviews. Gathering reviews is about more than just creating Yelp buzz (which can be extremely helpful for local SEO). It is about offering your future customers social proof. When someone arrives on your website, they will likely look through your inventory (if your inventory is posted online), and then make a decision about whether or not it is worth their time to visit your dealership. How can you improve the chances that that person, who has found your website via your search engine optimization efforts, will actually come to your showroom? By offering them proof that other people have already come to your dealership and had a positive experience. This is the power of reviews. They first, add content to your webpage and boost the authority of your local directory listings. They second, prove to potential customers that you are worth their time. But how can you get more reviews, both on your website and on your local directory pages? The first step should always be to actually ask for reviews. Most people are less inclined to leave reviews for the dealerships that they purchase vehicles from than, for example, for restaurants they eat at. If you want to encourage your customers to leave you reviews, ask for those reviews. After they have purchased a vehicle, send them an email with a link to where they can leave you a review, either on your website or on your directory pages. It is impossible to overemphasize the importance of online reviews. They are great for automotive search engine optimization, and they are just as good for making sure the people that find you online actually come down to your dealership and buy a car from you. On your website, yes, but also on your blog. If you do not have a blog, you are a missing out on a huge part of automotive SEO. You need to offer your potential customers as much information as possible. This does not mean that you should dump information on them, just that if they are looking for information about how to winterize their car, your blog should be the place they find that information. First, it makes your website more visible in the search results. The more information you have to offer to people, the more likely you are to be found. Second, it helps create brand recognition and build authority in the minds of those who do find your website. When someone arrives on your dealership completely cold—they do not know anything about you or about your dealership—they are less likely to make a purchase than someone who has read your blog and knows that you care about vehicles and the people who buy them from you. 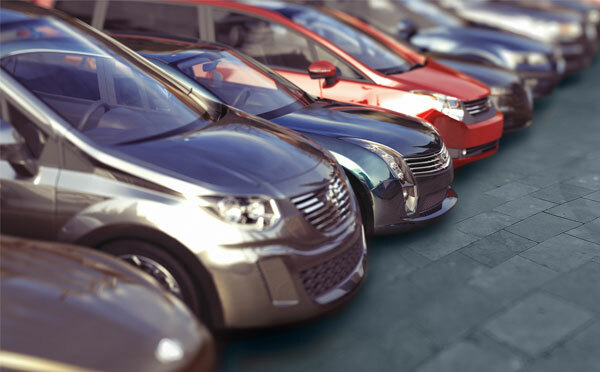 Even before they come to your dealership, they have started to build positive connections between your dealership and the idea of buying a car. They read your website, recognize that you are informative and well-informed, and when they are trying to decide who to buy form, they are more likely to think of you and decide to buy from you. If you make it clear on your website that you care about the local community, you are more likely to rank well in local search results (because your keywords will be related to your local area) and because you will appear to be involved in the community. Buyers today want to purchase from brands that care about the people and the communities they do business with. You can clearly and obviously create this image for your dealership by first, actually getting involved in the community and second, posting about local events on your website. You will automatically be targeting local keywords from doing this. You need to have a mobile-friendly website for search engine optimization. Google will actually downgrade websites that are not responsive or that do not function properly on mobile phones and boost websites that do have mobile functionality. But having mobile functionality is not just about succeeding in the search results—it also ensures that more people come to your dealership. Take this scenario for example: Someone is out, driving from dealership to dealership, searching for a car to buy. As they finish up at one dealership, they get out their smartphone to start looking at what other dealerships are in the area. If you first, do not show up in those results and second, do not have a website that makes it easy for them to find your contact information (at the very least), they will probably skip over you and shop a different dealership. If you do show up and your contact information is available, they will, instead, take the time to actually stop by your showroom, so you have the chance to sell them a vehicle.